Dating back to the early 1970’s, the Winnebago Minnie Class C motorhome traversed America’s highways, bound for camping destinations near & far. 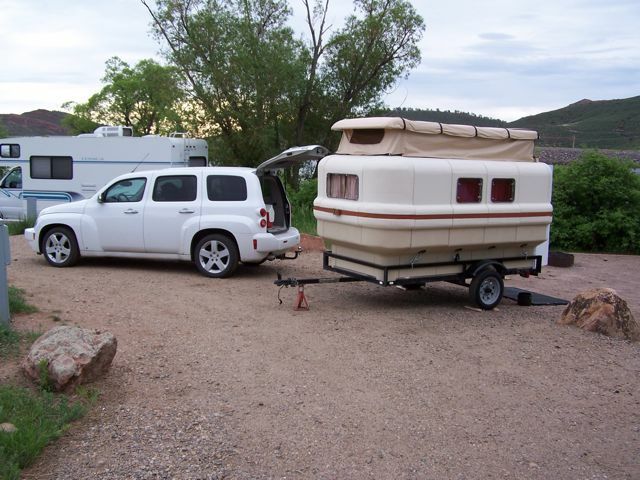 It was a basic, minimal frills motorhome that lasted until the 2006 model year. Winnebago Industries has dusted off the name, but this time it’s on one of their new towables. The Minnie travel trailer offers floor plans ranging from 19-26 feet in length, all but one having a slide out. The colors offered are white, bright lemon, and lime fiberglass exterior. 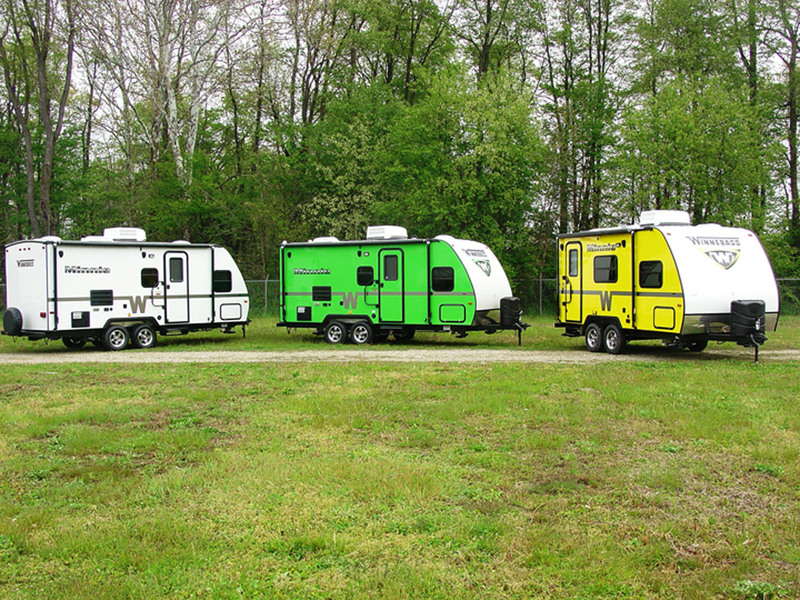 These appear to be sister trailers to Winnebago’s SunnyBrook Harmony division, as the styling and floorplans are nearly identical, with the exception of the Minnie’s bold color schemes. Currently the Winnebago website has not been updated to include the Minnie. However, RV Business reports the MSRP of the Minnie to be just under $16,000 for the entry level model. There are a few popping up for sale on rvtrader.com as well. Time is running out to partake in the 1st Annual FROG International Rally at the Elkhart County Fairgrounds in Goshen, Indiana, August 13-17, 2012. FROG is the Forest River Owners’ Group, comprised of Forest River as well as owners of Forest River RVs. Camping fees for four nights for the rally covers factory tours with visits from factory staff, three dinners and four breakfasts, entertainment, and games for the kids. Fees for the event are $295 for two, $220 for one, with children 12 & over $75. Kids under 12 are free. Optional tours (at an additional cost) include visits to northern Indiana’s Amish country, the RV Hall of Fame, a visit to the Notre Dame campus, and much more. Deadline for registration is July 15 (sorry for the late notice! ), but they may grant you admission if you contact them after the deadline. Complete details of the rally as well as registration info can be found on the FROG website. After an article about the Teal Camper appeared on the gizmag.com web site in May, things have been jumping on the Teal website. 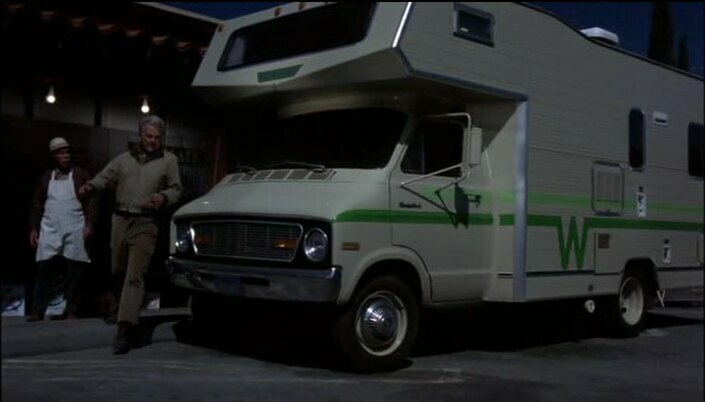 Once other blogs and websites picked up on the gizmag.com story, Teal’s website went from an average of 100 visitors a day to over 4,000, introducing a lot of new people to Larry Drake’s innovative modular camper, which we introduced to many of you last November. Several of the readers contacted Drake, encouraging him to submit an application to the ABC reality show “Shark Tank”, in an effort to take Teal to the next level. 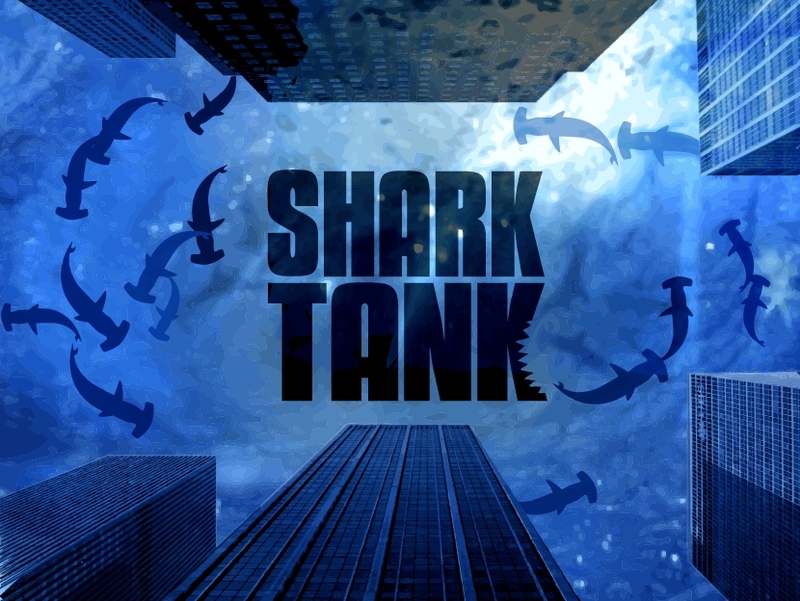 “Shark Tank” is a reality show where budding entrepreneurs pitch their ideas and products to a panel of millionaire investors in the hopes one of them will “bite” and invest in the contestant’s venture. Drake thought about it, but since he figured his chances were slim, he gave up on the idea. That is, until a producer at “Shark Tank” contacted him after reading about Teal from the gizmag.com story. Upon agreeing to review the requirements, Drake determined they were more interested in a reality show and less interested in helping entrepreneurs. Drake hopes to finalize the direction of Teal in the coming months.